SURE, IT’S JUST A BELT. Nothing to get excited about. Is it more? Well, yes. How often do we buy a belt? Good ones last for a dozen years or more. Dress belts, padded and stitched, might lose their mojo from heavy use. But a work belt, all leather, dyed clear through? That should hold up until it stretches too long, you gain/lose too much weight, or you die. Natalia. I placed bids on four belts and scored two of them, for less than half price! Yes, they look BRAND NEW! Made from heavy native steer hides and drum dyed for deep, consistent colors with waxes and tallows. Hot stuffed with just the right amount of “spew” on the grain and flesh to have that English feel. Thanks, Orion! You are the “Go-To” company for USA-made leather wear! 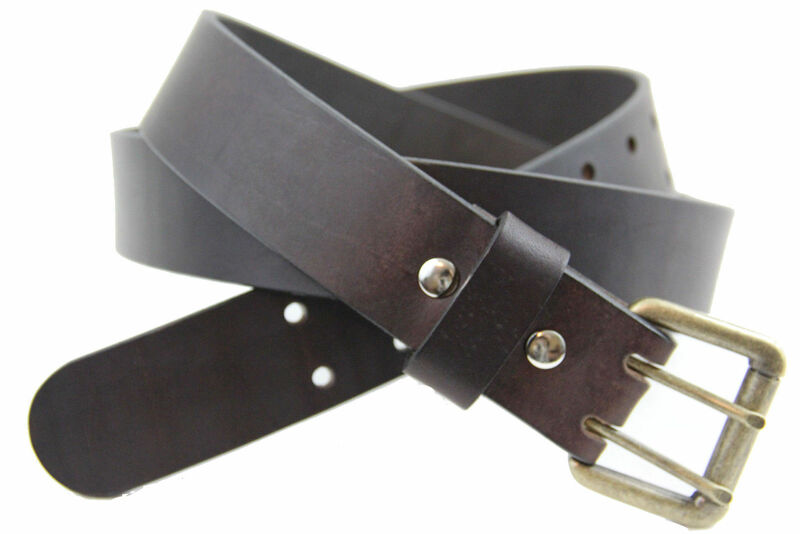 This entry was posted in Product Review and tagged american leather belt, drum dyed american leather, Havana Bridle Leather Belt, made in america belt, made in usa leather belt, Orion Leather.